At Sandan Shoumenuchi has to be performed 100 times. This means that uke attacks 100 times, right? The numbers such as 30 times, 40 times and 100 times, that should be done by nage. It doesn’t matter how many uke are there. Also it is ok if the same waza is done a hundred times. And it is also ok that different wazas are done a hundred times. The coloured belts are still mentioned for the kyu grades. 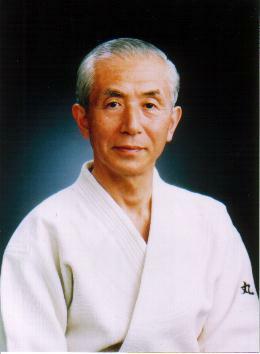 Not everybody uses coloured belts for the adults, and you (Maruyama sensei) don’t either. Why do you still use the coloured belts in the guidelines? The colors of obi for kyu were decided by me and Michael Williams in 2002. As a general rule, I leave it to each dojo’s own choice. Could you please give a short explanation why you changed the test guidelines to this new version? Why did you choose these techniques/this form? For example dropping 7th kyu and changing some gradings. I use the way of ancient Japanese bushi (samurai) to make this guidelines. Therefore a little adjustment or moderation is allowed depending on an examinee’s national background, age and physical condition.